Relax by the water at Glyfada Beach and Astir Beach. Benaki Museum and Byzantine & Christian Museum will appeal to museum buffs. Explore the numerous day-trip ideas around Athens: Akti Vouliagmenis (in Vouliagmeni), Glyfada (Saints Constantine and Helen Orthodox Metropolitan Church & Sea Turtle Rescue Centre) and Temple of Poseidon (in Sounio). 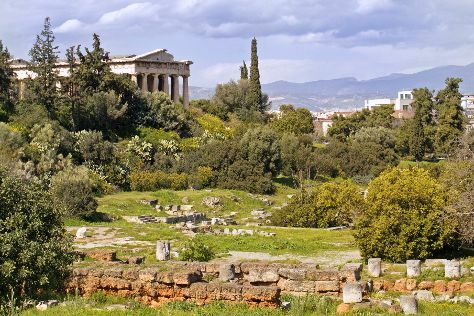 The adventure continues: admire the masterpieces at Vorres Museum, explore the ancient world of Erechtheion, contemplate in the serene atmosphere at Temple of Hephaestus, and appreciate the history behind Temple of Olympian Zeus. To see more things to do, photos, ratings, and other tourist information, refer to the Athens trip itinerary maker site . If you are flying in from Singapore, the closest major airport is Eleftherios Venizelos International Airport. Expect a daytime high around 35°C in June, and nighttime lows around 24°C. Cap off your sightseeing on the 23rd (Sat) early enough to travel back home.